The famous German luxury car manufacturer, BMW has launched the facelifted version of its luxury sedan model BMW 5 Series in India with a competitive price tag. This facelifted version of the BMW 5 Series is offered with diesel engine option only and it is made available in four trim levels. 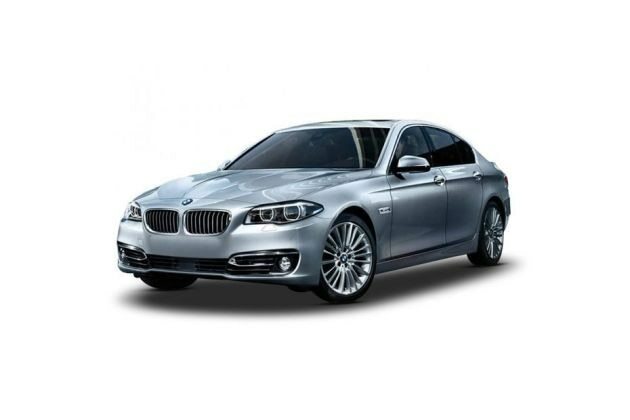 Out of these four diesel variants, the BMW 5 Series 520d Modern Line is the entry level trim and it has been offered with the standard BMW features along with several other exciting comfort and utility based functions. This entry level trim in this series has been powered by an advanced 2.0-litre diesel power plant that comes incorporated with 4-cylinders and 16-valves. The company claims that this particular engine is one of the most powerful in its class and it has the ability to reach 100 Kmph speed barrier in just about 7.9 seconds, which is rather good. This particular trim has been offered with a BMW kidney grille coated in Matte chrome, Leather Dakota upholstery exclusive stitching, a car key with pearl gloss chrome and several other exciting aspects. This new model from the automobile giant will compete with the likes of Audi A6, Jaguar and others in the executive sedan segment in India. The facelifted version of the new BMW 5 Series vehicle comes with quite a lot of tweaks that gives it a striking new look. The frontage of this new vehicle is incredibly stylish with the signature BMW kidney bean shaped grille that dominates the entire front profile. The company has revamped the design of headlight cluster and incorporated it with new adaptive headlamps with an all LED option. The kidney beam shaped grille gets the Matte Chrome garnish, which gives a distinct look to the front profile. The design of the bumper also been tweaked, where the air dam and the air ducts occupies most of the area. The air ducts have been decorated with chrome design along with a pair of round shaped fog lamps. The company logo has been fitted on the bonnet, which completes the front profile. The side profile of this executive sedan remains very sleek, wherein the door handles and the ORVMs have been painted in body color. The wheel arches have been fitted with the turbine styled 18 inch alloy wheels, which have been further equipped with robust tubeless radial tyres. The rear profile of this facelifted version gets a redesigned bumper and a revamped tail light cluster. The bumper has been fitted with reflectors, which will add to the safety of this model, while the prominent company logo is fitted on the boot lid, which will further enhance the style. This newly launched BMW 5 Series 520d Modern Line trim also received changes inside the cabin with a revamped control display of the iDrive system, which is now accentuated with a chrome strip border. This luxury sedan comes with ample space inside the cabin that offers great leg room and shoulder space for at least five passengers with a 2+3 seating arrangement. The seats have been covered with premium Dakota Leather upholstery that gets the exclusive stitching. This particular variant is also blessed with a 'fine wood' finish along with a 'fine line' light. The entry sills have been illuminated that enhances the appeal of its modern interiors. There are quite a number of aspects incorporated inside the cabin, which include an air conditioner system, ambient light, floor mats in velour, electric glass roof, electrically seat adjustment with memory function, sport leather steering wheel with gearshift paddles, start/stop button function and several other such aspects. This facelifted trim has been integrated with an advanced 2.0-litre diesel mill that has 4-cylinders, 16-valves and produces a displacement capacity of about 1995cc. This engine can produce a peak power of about 184bhp at 4000rpm, while generating a hammering torque of about 380Nm in a range of 1750 to 2750rpm. This high amount of torque produced by this engine at low RPM levels will ensure superior driving experience even under low speed levels. On the other hand, the company has fitted this engine with an advanced 8-speed automatic transmission gearbox that delivers the engine power to the rear wheels and produces 18.48 Kmpl of maximum mileage. The front and rear wheels of this particular sedan has been fitted with disc brakes that works very efficently in all conditions. The company has further equipped these disc brakes with an anti-lock braking system along with a cornering brake control system, which will ensure skid-free driving experience at all times. Also, this sedan comes equipped with dynamic stability control along with dynamic traction control system, which will further enhance driving experience. Inside the cabin there is a power steering system, which is very sensitive and acts immediately according to the need of driver and makes steering easy even in low speed levels. Coming to the comfort features list, this BMW 5 Series Modern line trim has got a lengthy list of aspects that offer utmost luxury like no other vehicle in its class. The list of features include BMW connect drive system that includes a multi-functional instrument display along with park distance control, rear seat entertainment professional with two 23.3cm display, rear view camera and many more features. This luxury model also has features like an automatic air conditioner, lumbar support for driver and co-driver seat, a start/stop button function and so on. Apart from these, there is an iDrive system with 16.5 inch color display is also offered inside the cabin along with Harman Kardon Surround System and various other sophisticated functions. As far as the safety and protective features are concerned, this BMW 5 Series 520d Modern line trim has been blessed with top rated functions that offer unparalleled safety to the passengers and to the vehicle as well. This luxury sedan comes with a list of features, which include active front headrests, airbags, ABS , electronic engine immobilizer system and crash sensor, side impact protection, warning triangle with first aid kit and various other functions. Pros : Striking exteriors, unmatched comfort and safety aspects. Cons : Price tag is too high, fuel efficiency can be improved.